American Rock Salt 50WHAL Halite Rock Salt, White, Odorless, 50 lb bag, Fine Salt, used for the de-icing of roads, walkways, and surfaces. American Rock Salt Halite is available in 50 lb. bags. It is fast acting and has superior melting power. American Rock Salt Halite begins melting ice quickly and keeps melting it for an extended period of time. This is made possible through multiple-sized crystals. 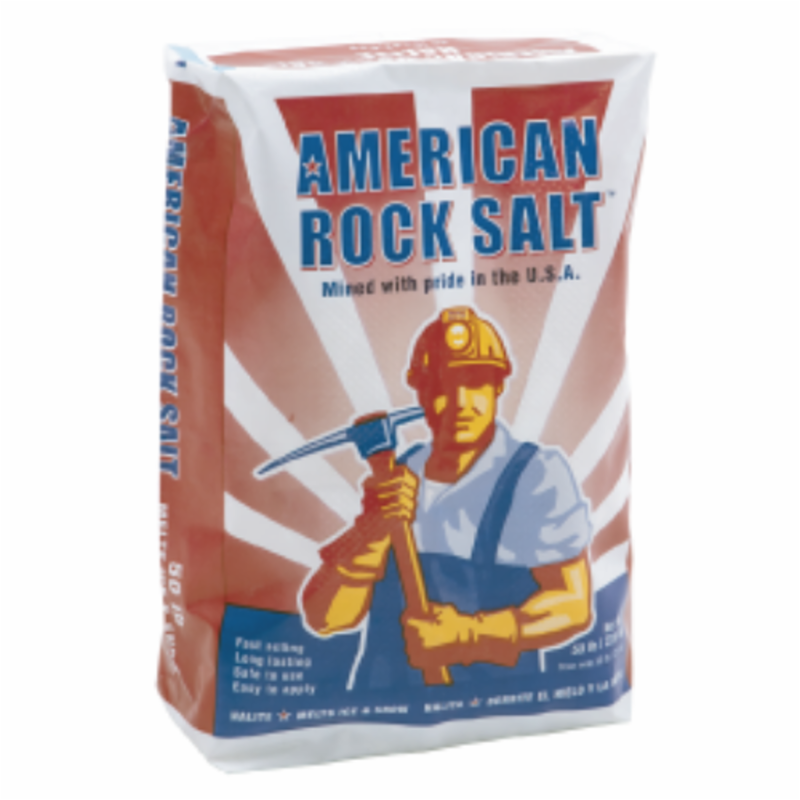 The smallest crystals dissolve quickly while the larger crystals last longer, reducing the amount of rock salt needed to get the job done.American Rock Salt is easy to apply. It may be safely used on most surfaces ranging from blacktop, wood, stone, and gravel to properly cured air-entrained concrete.